Can you list inventions made by kids? Quite a few famous inventions were invented by young people. 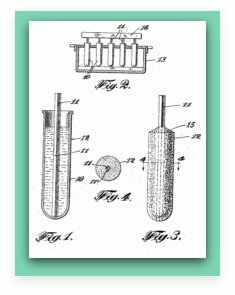 Sometimes those inventions were actually patented or prototyped later on in life when the inventors were adults, but the initial idea or concept were often created while they were kids. If you are a kid looking for inspiration or have children in your life you want to encourage to think creatively, read on to see some surprisingly famous inventions which were invented by kids. The electronic television was first conceived by a 14 year old kid in 1920. 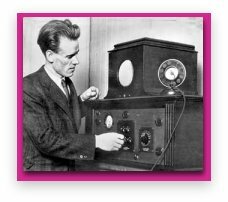 Philo Farnsworth shared his concept of an image transmitting device, an early prototype of the electronic television, with his science teacher, drawing diagrams on several blackboards in class. By the age of 21 he had a working model which served as a basis to all later development and versions of electronic televisions. After discovering a collection of technology magazines in the attic of his family’s new home, he developed a passion and interest in electronics that led him to explore inventions in the field, and specifically the idea of image transmission. In 1927, a few years out of high school, he was the first inventor to transmit a television image of a dollar sign, comprised of 60 horizontal lines. kids everywhere can today thank a 14 year old with a vision. The Braille writing system is today the most well known language system used by blind people all around the world to read and write. It is named after Louis Braille a young blind child who at the age of 12, invented it to improve the way blind people read books at the time - by following raised letters. 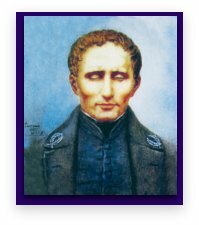 Luis Braille attended a special school for the blind, in Paris in 1821. It was there that he learned to read, using raised letters. It was at school that he first heard a guest lecture, delivered by a soldier, who told the children about a code his fellow soldiers used to communicate among themselves without speaking, at night, in combat. 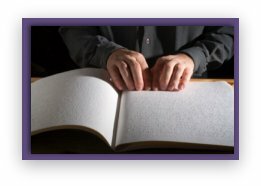 Braille was intrigued and realised that the writing system the soldier described, could actually be adapted to a writing/reading system beneficial for the blind. He set out to create it and soon was able to teach other kids in his school how to use it. The method wasn’t easily accepted at first. One of his school teachers even banned its use among pupils, which only led them to learn it and use it in secret. At the age of 20 in 1829 Braille has published his first book written with the Braille code. However, it was only after his death that the system caught attention and became the prevalent way by which blind people read and write around the world. Frank Epperson invented the popsicle when he was just 11 years old. One night in 1905, in San Francisco, where he was born, Frank mixed a fruit flavoured soft drink with soda powder and water to create a fuzzy drink, popular at the time. The stirring stick he used to create the concoction was left in the glass, and the glass itself was left outside on the porch, during the entire night. When he woke up in the morning he found the ‘drink’, now frozen to the stick after a very cold night. Though he tasted this accidental frozen creation and even is said to have shown it to others, he didn’t do anything else with it at the time. It was only 18 years later, in 1923 that Frank has applied for a patent for what he called the “frozen ice on a stick” and started selling it in different flavours. Next time you eat a frozen treat, think about the 11 year old who left his drink in the cold. Chester Greenwood was just a 15 year old kid testing a new pair of ice skates, in cold Main, back in 1873. His ears were cold and he tried several ways of protecting them. He started by wrapping a scarf around his head, but it was uncomfortable and bulky. He then made two loops out of wire and asked his grandmother to sew fur tufts on them. This is how the ear muffs were invented. He improved his model and patented it under the title: improved ear protectors. He set up a company that sold his product called: the champion ear protectors, providing jobs in his home town of Farrington for more than 60 years.